By the end of the year, the UK arm of the Spanish-owned bank had 4.1million ‘loyal’ customers, while the target for the year had been set at 4.7million. A loyal customer is classified as one with two or more accounts or products with the lender. 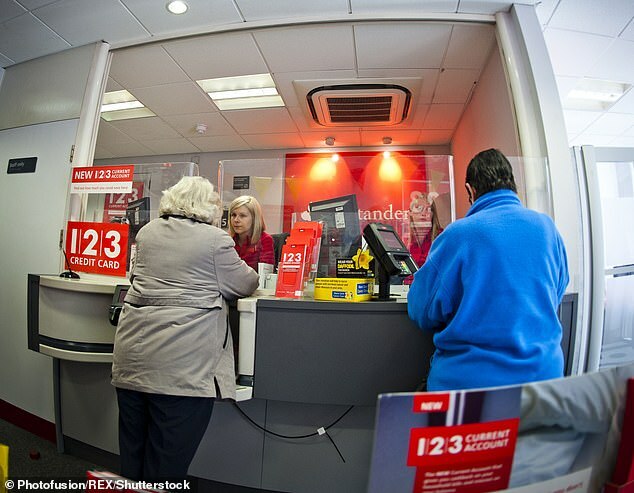 Customer deposits fell to £142.1billion from £143.8billion due to a £3.5billion drop in savings balances. Net interest income fell by 5 per cent to £3.6billion, with the lender blaming lower new mortgage margins. Earlier this month, Santander revealed it plans to close nearly one in five of its UK branches, putting over 1,000 people at risk of losing their job. Santander said branch transaction numbers have fallen by 23 per cent over the past three years, while transactions via digital channels almost doubled over the same period. Looking ahead, Santander said it was preparing for a number of Brexit outcomes in order to minimise the potential impact on customers and the business. The group said: ‘Our Brexit preparations are comprehensive and we have dedicated significant focus to ensure we can continue to serve our customers whatever the outcome. In the last year, Santander made several provisions related to payment protection insurance redress and other conduct issues associated with the sale of interest rate on derivatives. Last month, the bank was fined £32.8million by the City watchdog for ‘serious failings’ in processing deceased customer accounts. Commenting on today’s results, Santander UK’s chief executive Nathan Bostock said: ‘Our 2018 financial performance reflects our strategy of selective growth, while actively managing costs in the competitive and uncertain operating environment. ‘Our focus remained on earning loyalty through excellent service and compelling products – from bringing new features to our mobile app to launching our new 1I2I3 Business Current Account – and we are encouraged by our customers’ response. ‘Net mortgage lending in 2018 was our strongest in more than three years and we helped over 27,000 first time buyers, up c14 per cent. Santander UK’s parent firm, Banco Santander, also posted its global results today. 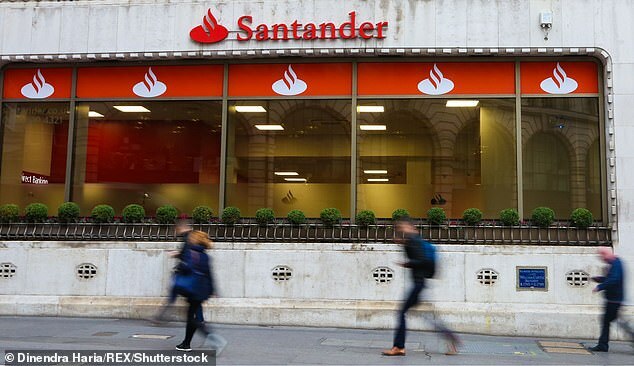 Banco Santander reported a 34 per cent rise in fourth-quarter net earnings, as strong performances in Latin America and Spain overcame currency headwinds and weakness in the UK caused by an increase in operating costs.